The Latin Tarot, commonly known as Tarot de Marseille, dates back to 14th Century Italy. It's one of the oldest decks of tarot cards. 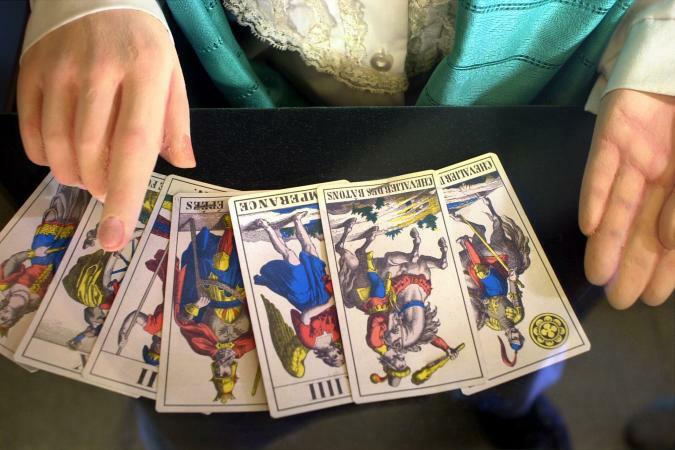 Although there are perhaps over a thousand different Tarot decks, and the Rider-Waite cards have become the most used cards in modern times, Tarot de Marseille has always been widely used in Europe and is now seeing a resurgence in the U.S. It's not known when the first tarot deck came into being, but one of the first recorded tarot decks seems have been in Italy in the 14th century, when the Tarocchi di Mantegna appeared. It is believed the decks were originally created as playing cards that could display the works of artists, and early versions were fashionable among the well-heeled. The decks fell out of fashion in Italy and moved to France where they were used in card games that obscured the cards' esoteric meaning. 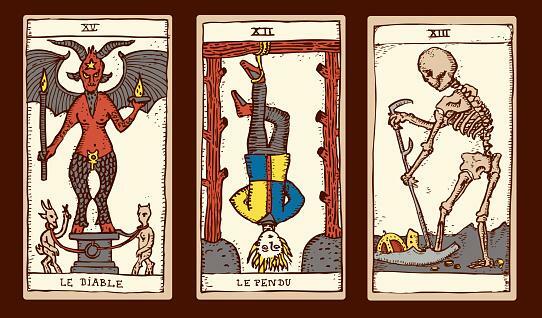 However, it's thought that the Tarocchi cards were the inspiration for the Tarot de Marseille. After migrating to France, there were at least two advances responsible for the loss of the original Latin cards. Until 1860, the Tarot de Marseille cards, which had been engraved with hand-painted stencils. When the printing machine replaced the handwork, they were printed in just blue, red, yellow and black. So, in addition to the loss the esoteric meaning of the Tarocchi di Mantegna (perhaps the original Latin Cards), their color was changed due to the printing machines. It wasn't until the 19th Century that the Latin cards got their modern name, Tarot de Marseille, likely because at that time the decks were being produced in Marseille, France. The Marseille House Camion is the custodian of the Tarot de Marseille Tradition and has printed the deck since 1760 when Nicholas Conver engraved his Tarot de Marseille. In 1997, Philippe Camoin, the heir to the centuries-old legacy of Marseillan card makers, in collaboration with Alexandre Jodorowsky, created a new Tarot de Marseille. They researched and combined symbols scattered throughout the various Tarots of Europe and created a 78-card deck filled with arcane details and with 11-color printing. How Does Tarot de Marseille Differ From Other Decks? So, what are the key difference in the Tarot de Marseille? First, you notice their simplicity, the Roman numerals, and that the names on the bottom of the cards are written in French. Like most traditional Tarot card decks, the Marseille deck has four different suits. However, the Marseille deck uses Batons, Epees, Coupes, and Deniers instead of Wands, Cups, Swords, and Pentacles. Additionally, Marseille's numbered cards don't have images; they merely depict the suit symbol and the number. One of the significant differences in the deck is that the numbered cards of the Tarot de Marseille are interpreted using numerology. Most modern Tarot decks have Pages, Knights, Queens, and Kings. The Tarot de Marseille has Valets, Chevalier or Cavalier, Dames, and Rois. In modern Tarot, the Justice card is # 11, and the Strength card is # 8. However, in the Marseille deck that's reversed. The Justice card is VIII, Justicia and the Strength card is XI, La Force. In modern Tarot decks, the images on the cards tell a story, while the symbols on Tarot de Marseilles are more simplistic and leave room for a broader interpretation. Many Tarot experts agree that Tarot de Marseille is a harder deck to read and not for beginners. The Tarot de Marseilles decks you'll find are replicas or reproductions of the original Tarot de Marseille. Tarot de Marseille by Camion and Jodorowsky is a deck with lots of details harkening back to the original designs. Tarot of Marseille (Lo Scarabeo Decks) is a detailed reproduction of a classic Marseilles deck. The Tarot de Marseille by Mary Packard is a replication of an original deck in the Swiss National Museum. Tarot de Marsella (Marseille) by Pablo Robledo of Argentina is an updated deck that looks like it was made on wooden blocks. There are those that will argue that modern tarots, including the famous Rider-Waite deck, have departed far from the purity and are not faithful to much older decks. They believe that Tarot de Marseille has a richer and broader symbolism that modern decks cannot hope to approach.